At the end of the day we meet in our Hotel in Amsterdam. 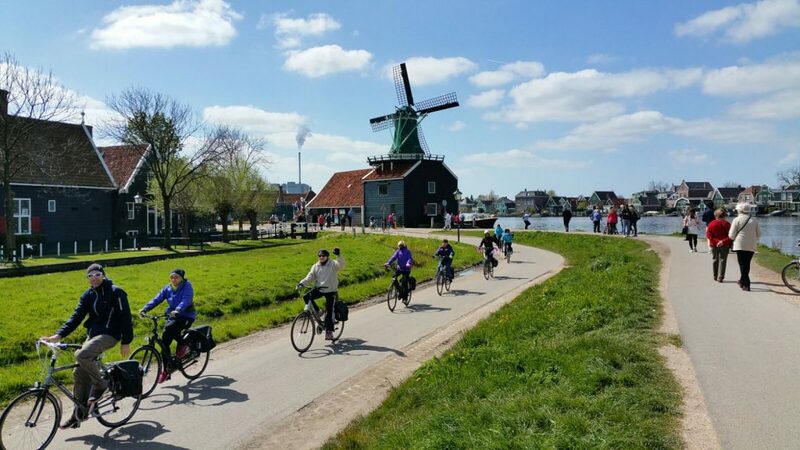 After breakfast we cycle towards the ZaanseSchans. This is a residential area and open-air museum. Here you have the opportunity to get to know the life of the Dutch in the eighteenth and nineteenth centuries. 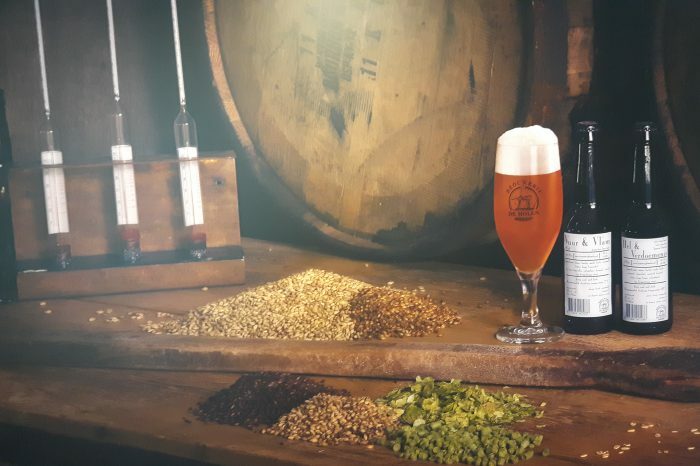 The area consists of authentic houses, a historic yard, a pewter factory, dairy farm, an old grocery store, demonstrations of manufacture of wooden clogs and, above all, many mills. 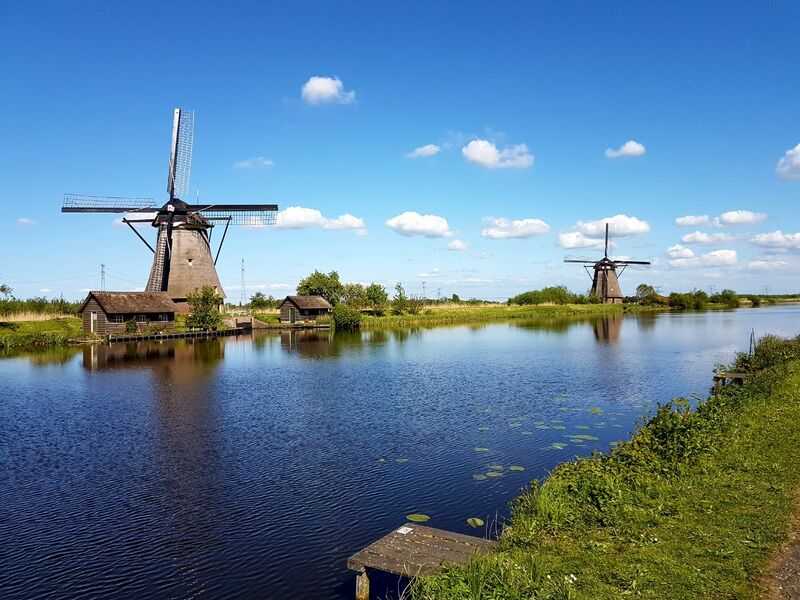 Nothing is more Dutch than the ZaanseSchans. Most of the Dutch icons are represented here, including clogs, mills and cheeses. This demonstration of Dutch life attracts hundreds ofthousandsvisitors each year. 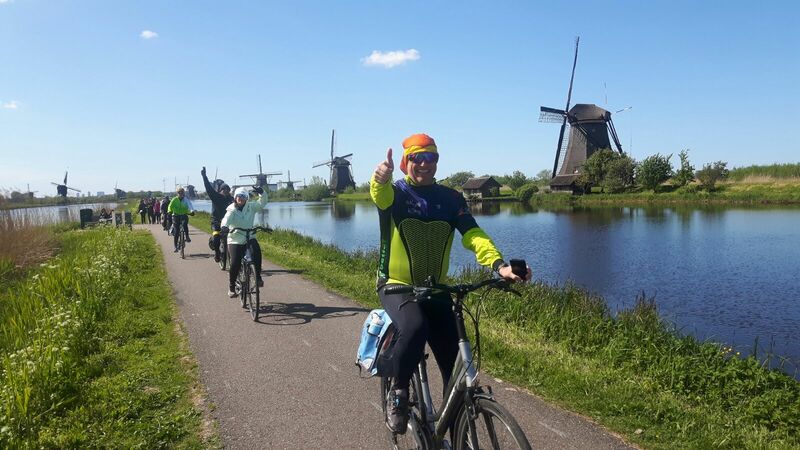 We continue cycling towards the historic city of Haarlem passing countryside and small villages. We spend the night in Haarlem. 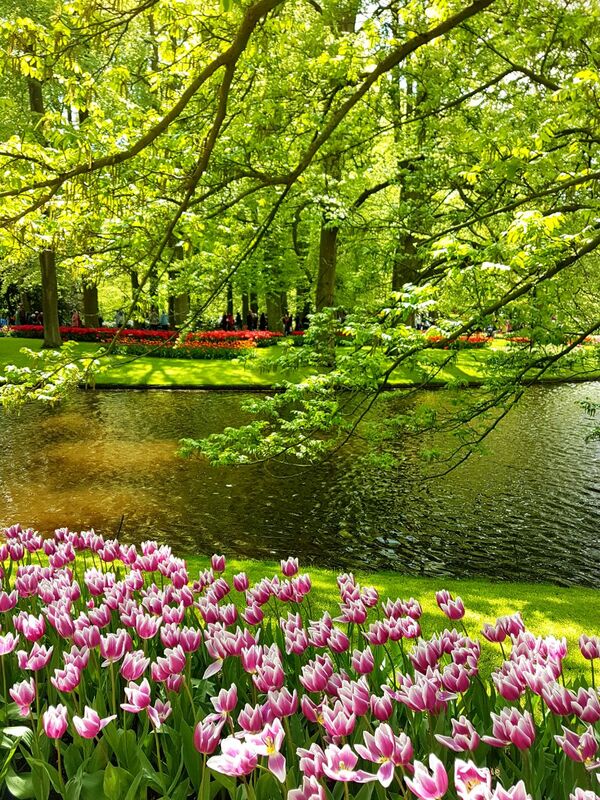 In Haarlem we start cycling towards the Keukenhof, the famous flower park. 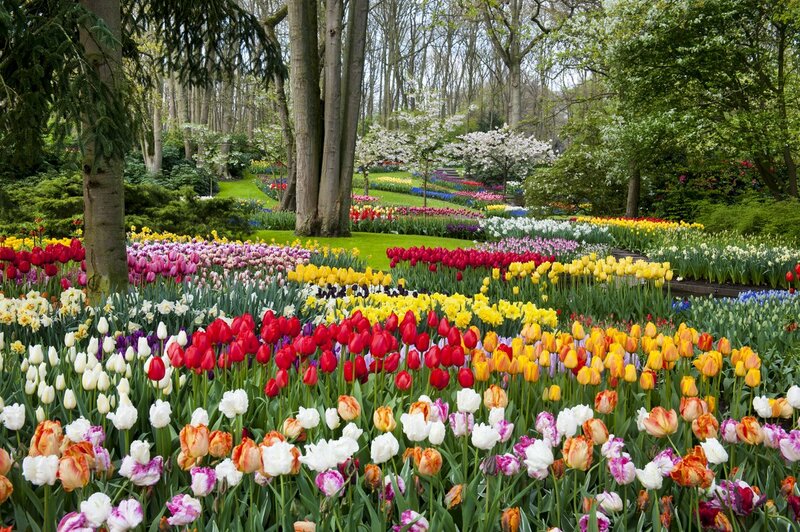 Keukenhof as over 7 million bulbs, with a total of 800 varieties of tulips. 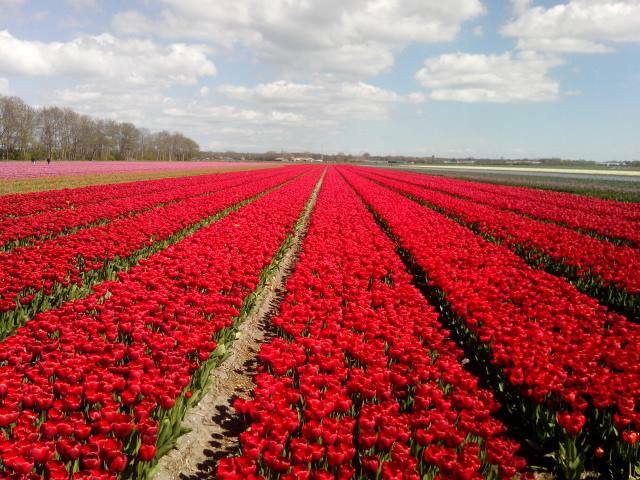 After this lovely explosion of tulipswe continue cycling towards the city of Leiden. During the evening you can take a walk through the historic center, highly recommend! 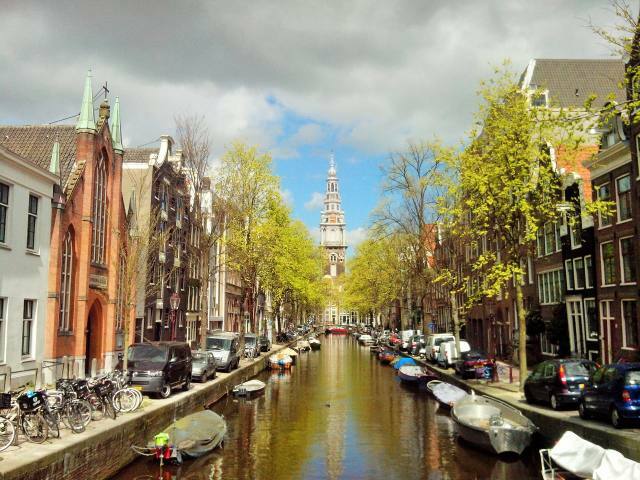 You can visit monumental buildings, for example, the oldest university in the Netherlands, founded in 1575. Overnight stay in Leiden. 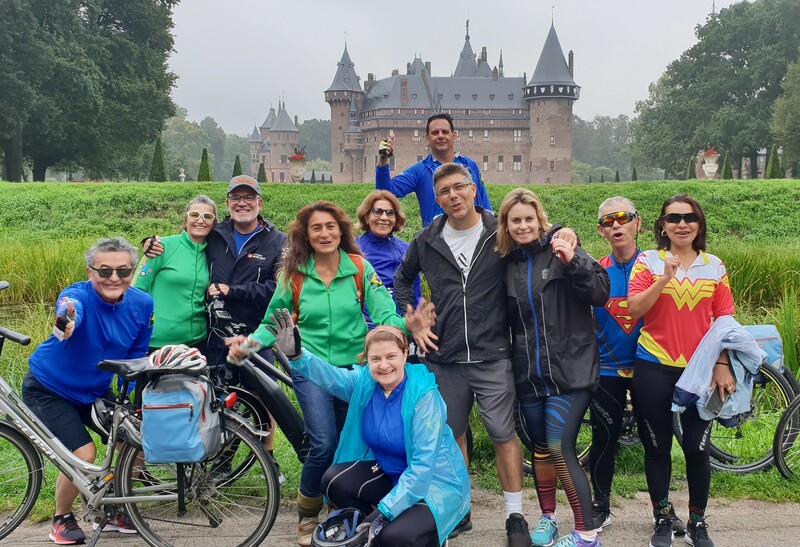 Today we first cycle towards Den Haag (The Hague), where the Government of the Netherlands is located and the International Court of Justice. 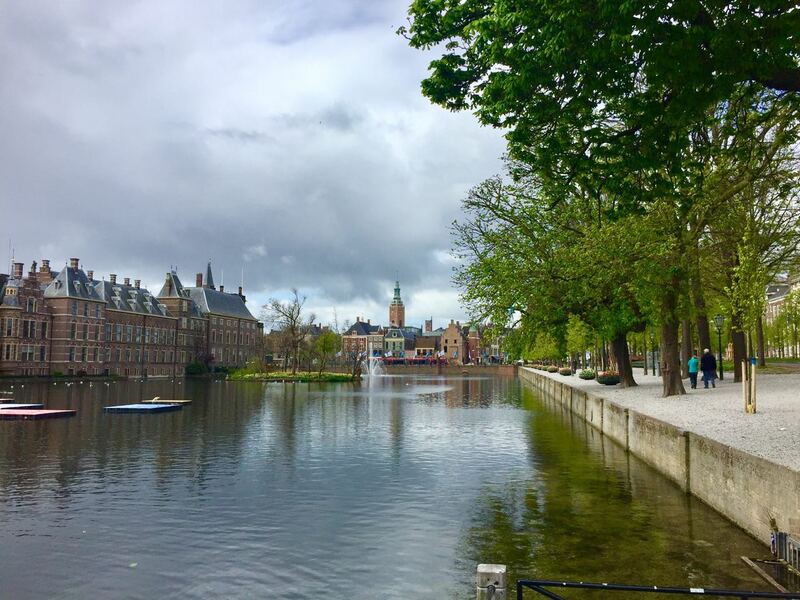 From TheHague we go a very beautiful Dutch city: Delft. This city is well preserved and it looks like you’re in the seventeenth century. 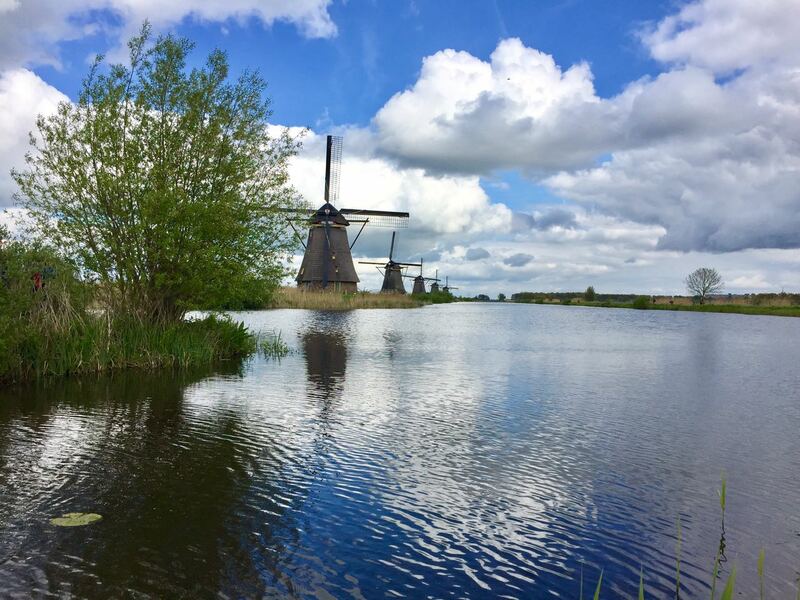 Before arriving in the beautiful and ancient city of Dordrecht, we cycle along Kinderdijk. 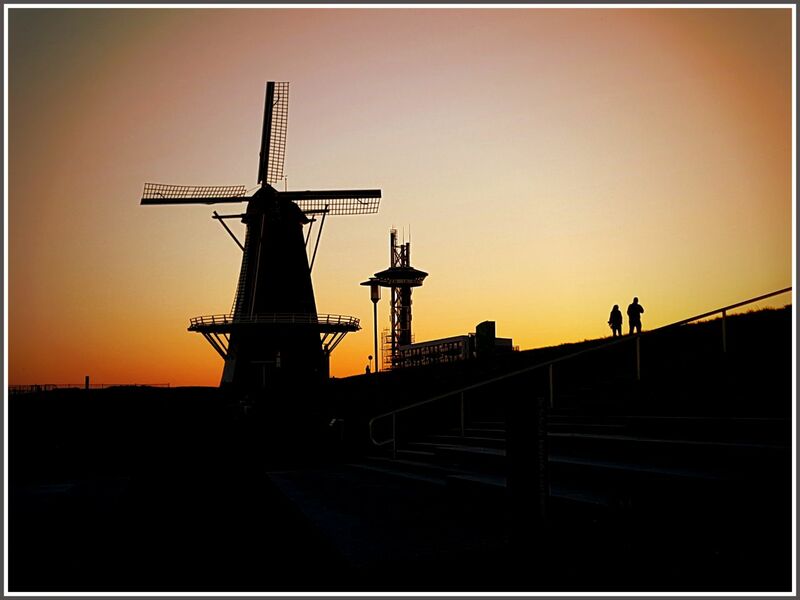 A unique monument, where the largest number of historical Dutch windmills is found, 19 windmills, which are now listed as a UNESCO World Heritage Site. Overnight stay in Dordrecht. 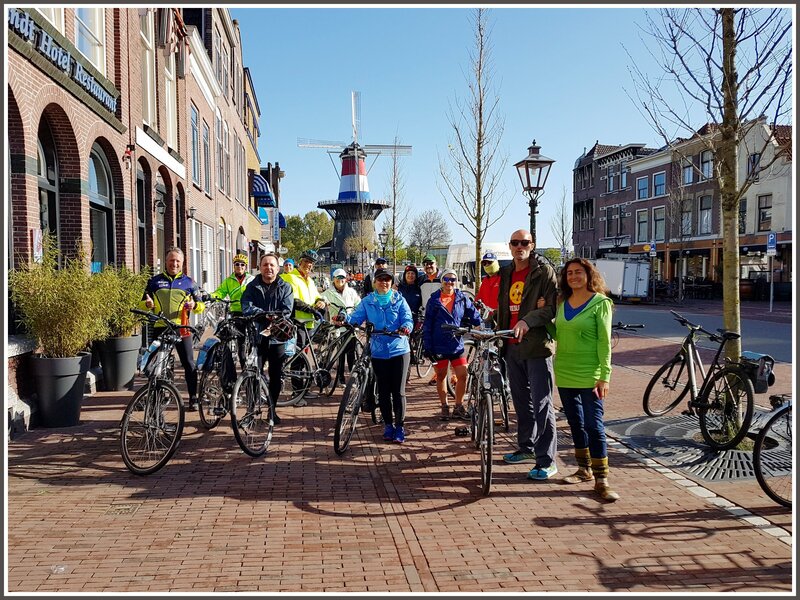 After breakfast we cycle from Dordrecht to the famous Delta area. This Delta holds several of the biggest Dutch rivers. Years ago, an open connection existed with the sea due to the many tributaries in this area. After the disastrous flood in 1953, the Deltaplanwas developed and most tidal outlets were closed by dams. We spend the night in Zierikzee. 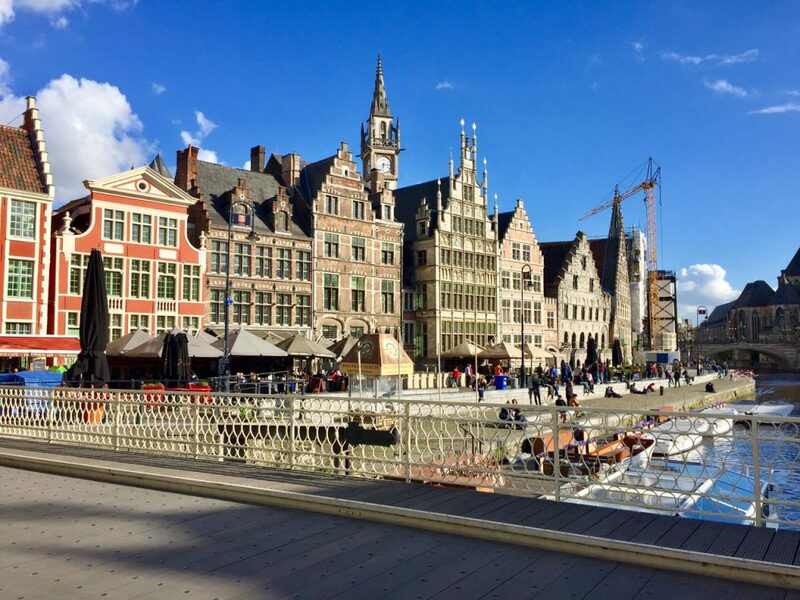 A beautiful historic town and also the center of Dutch mussel culture. 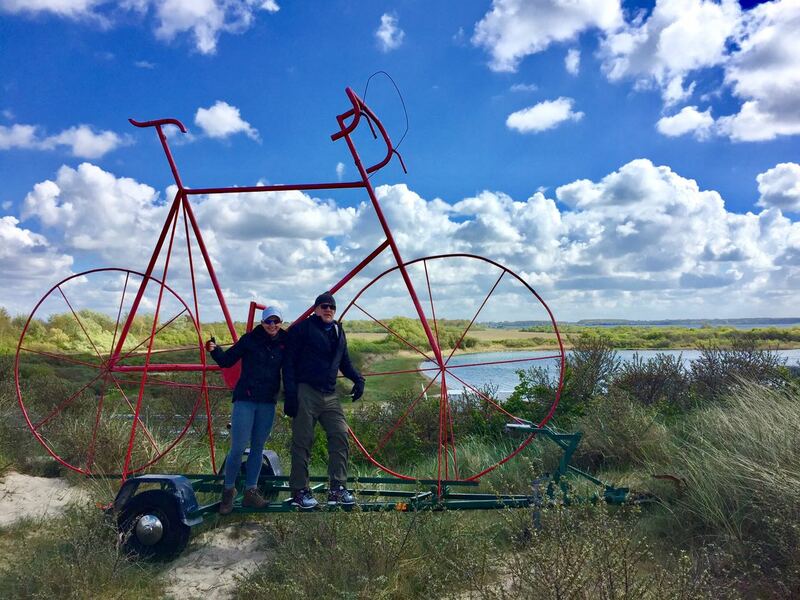 Today we cycle to the North Sea, along the Oosterscheldeto the Oosterscheldedam. 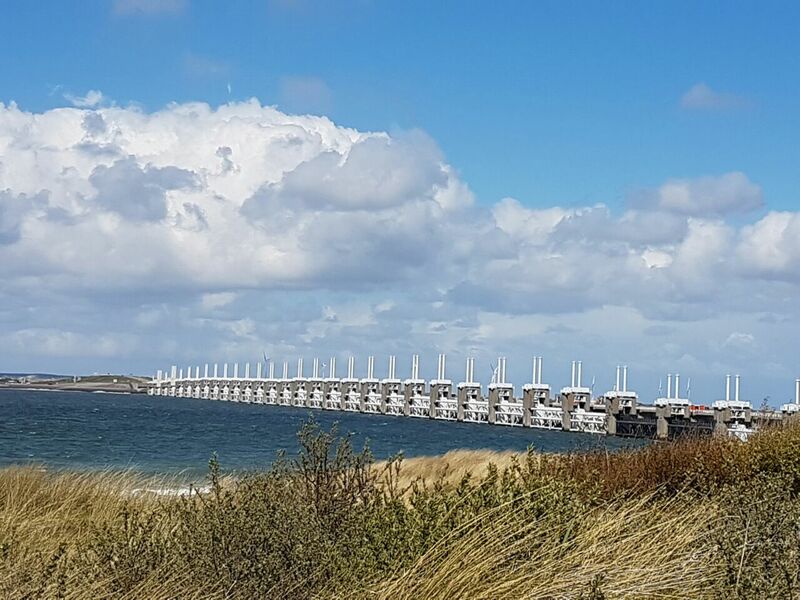 Huge locks are built in this embankment that can be closed during storms and high tides that protect the southwest of the Netherlands against the sea. Pedaling around here, one will realize why this has been one of the most difficult and expensive challenges to protect the country now and in the future. That’s why the Deltaworksare referred to as one of the Seven Wonders of the Modern World by the American Society of Civil Engineers. 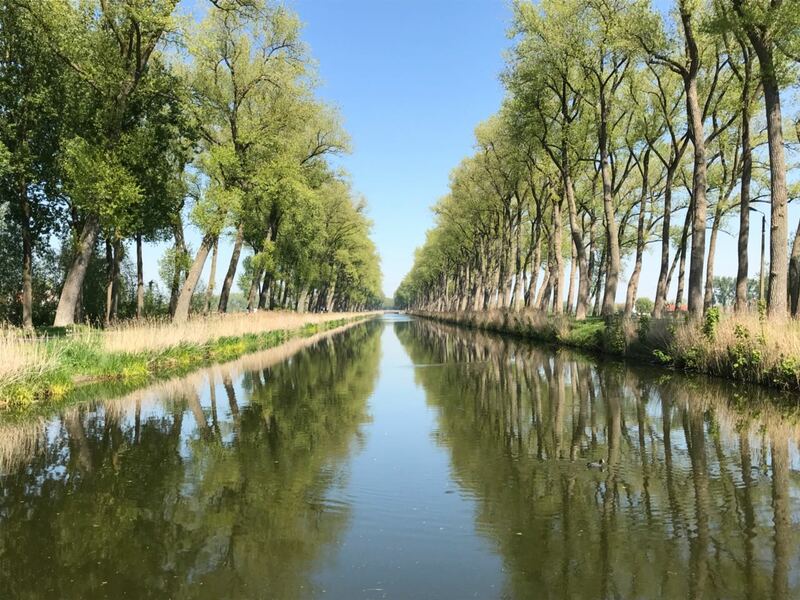 After this dam we follow our way to Middelburg, but not without visiting the picturesque town of Veere. We spend the night in Middelburg. This city is the capital of the Province of Zeeland with many historic houses. After breakfast we first cycle to the town of Vlissingen. 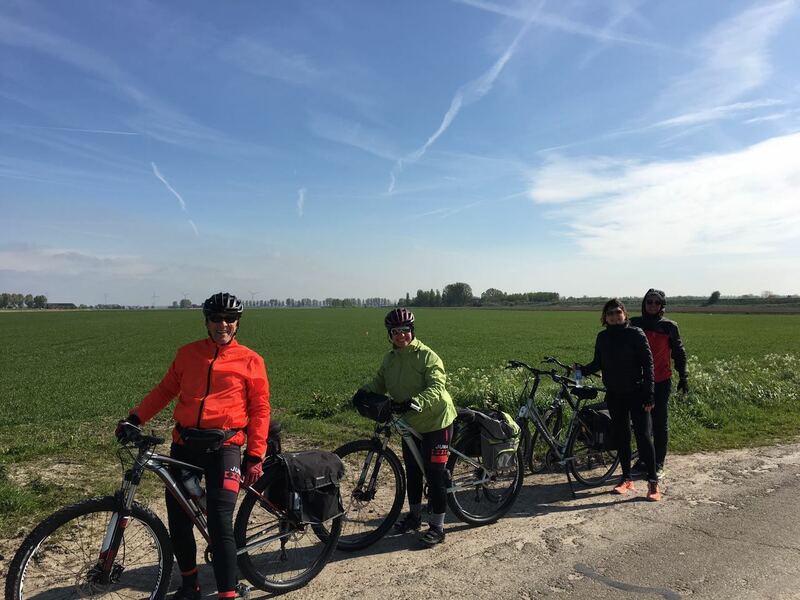 With a ferry (only accessible to cyclists and walkers) we cross the Westerscheldeto Breskensto arrive in Zeeuws-Vlaanderen (Dutch-Flanders). We will arrive at the Belgian-Dutch border. 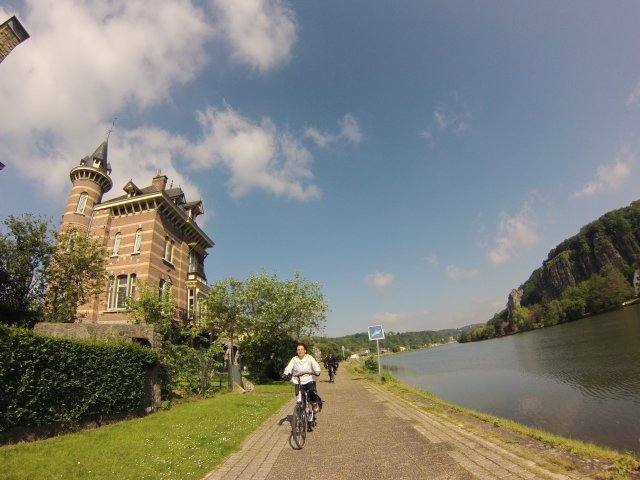 Today we will cycle most of the time along seaside and canals. Overnight stay in Bruges. How to book, pay and cancel? To participate on one of our tours please send your request to us by e-mail: info@cicloturismoeuropa.com. After receiving the request, you will receive a booking confirmation. Registration is confirmed when the deposit is credited to CicloTurismoEuropa’s bank account. Prices quoted are per person and do not include airfare. The prices are based on a double or twin room. If you want to have a single room, please indicate this at the time of booking. In this case there will be a surcharge. If you book by yourself and do not want to pay a surcharge, we can have a look if it is possible that you share a room with another participant. If this is not possible, you will be informed in time. Your accommodation will be in 3 and 4 star Hotels. At the time of booking we ask you to pay a deposit of € 150,- and the rest of the amount until 3 weeks before the start of the tour. The deposit is non refundable. Only in case CicloTurismoEuropa cancels the tour we refund your deposit. If the reservation is made within 3 weeks before start of our tour you must deposit the total amount. You can request cancellation by sending an email to info@cicloturismoeuropa.com. The cancellation date would be the date that the email was sent. * 100% in case of cancellation from 3 weeks before the start of the trip. CicloTurismoEuropa can decide, due to a small number of participants, to cancel the trip. In this case an alternative is offered for another date or another itinerary. If you do not make use of the offer CicloTurismoEuropa will transfer back what is paid. Other costs that are made for the trip will not be paid by CicloTurismoEuropa. You will be informed about the cancellation due to lack of participants at least six weeks before departure. CicloTurismoEuropa has the right to cancel the trip in case of extreme road conditions, natural forces, border problems, strikes, illness or any other situation of force majeure. In case of cancellation by CicloTurismoEuropa for one of these reasons, you are entitled to a refund of the payment you have paid to CicloTurismoEuropa. If the cancellation occurs during the trip because of any of the above reasons, you are entitled to a proportional part of the fare. CicloTurismoEuropa will not pay for an alternative in case of cancellation. The costs of visas, vaccines and personal expenses in preparation for your journey will not be compensated. For claims you have, we refer you to go to your own insurance company.